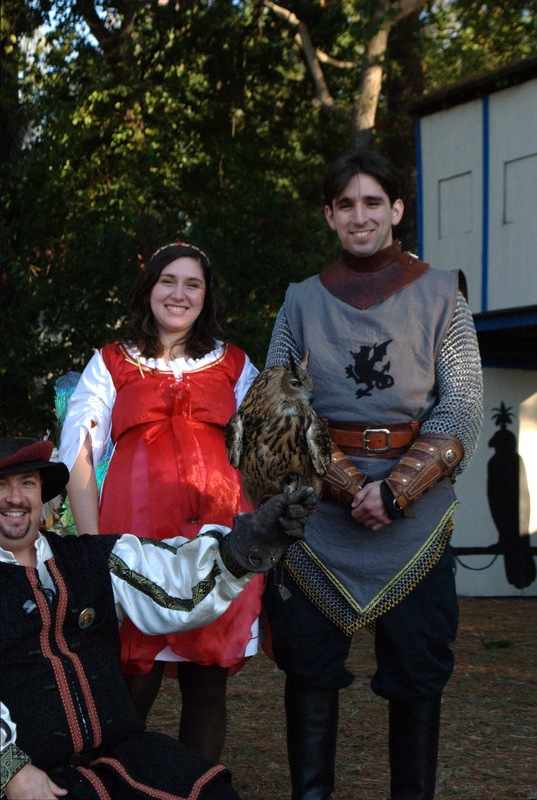 Me and John with the owl from the birds of prey show! 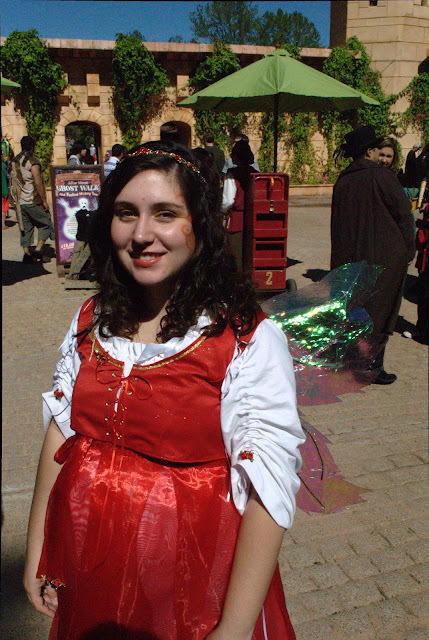 Since I was 6 months pregnant at the time of Halloween/Renfair, NOTHING in my costume closet fit me and I had to basically start from scratch...darn! Underdress: White cotton twill with drawstring neck and sleeves, and underarm gussets. I should be able to wear this again when I'm not pregnant! Vest: Fully lined sparkly poly satin, laced up the front with ribbon through metal grommets. It's not boned, because I was going for comfort over...well, everything! 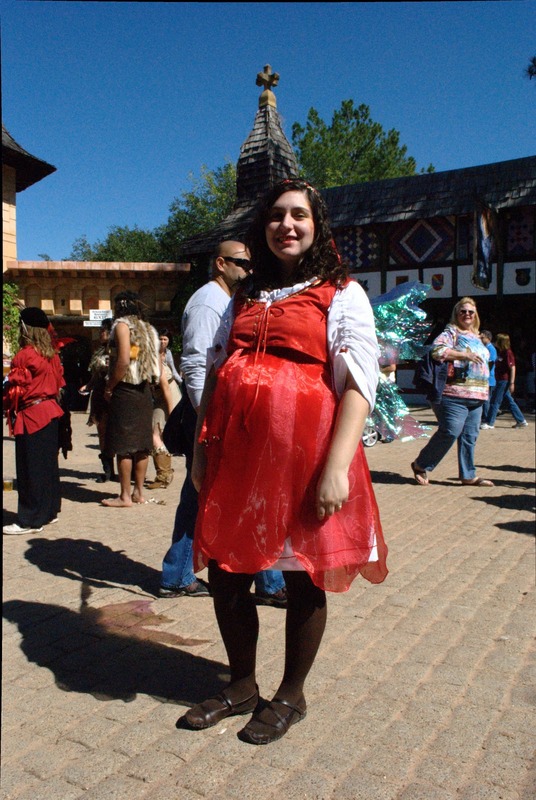 Skirt: Beautiful red organza petals sewn into an apron-style waistband which I tied in a bow in the front. I'll have to post a tutorial on how I did that skirt because it turned out amazing and was really fun to wear. Wings: I used this tutorial to make the shimmery cellophane wings! It was a bit time consuming, but they turned out great! Other: I bought the crown at the fair a few years ago, and I just wore brown tights and brown flats for comfort's sake! I used some glittery gold make-up on my face for the full fairy effect.